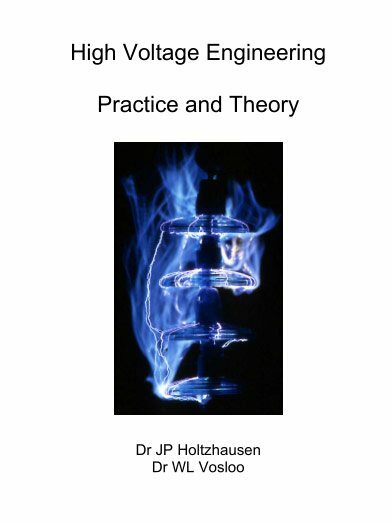 In this book the term high voltage is used as a generic term to include all voltages higher than 1000 volts, although the emphasis is on the typical voltage levels used power systems. High voltages, however, feature in many applications that are not related to the power system. Typical examples are automotive ignition systems, cathode ray tubes as found in oscilloscopes and television sets. A schematic representation of a typical power system is shown in Fig. 1.1. This equation clearly shows that, in order to transmit a fixed amount of kVA over a transmission line, a higher voltage is preferable as it results in lower currents. The lower currents are desirable as the losses and voltage drops due to the conductor resistance are lower. This permits the use of thinner conductors. The use of higher voltages introduces a number of new aspects that have to be taken into account in order to prevent current leakage or flashover due to inadequate insulation. In general all metals are conductors of electricity due to their higher conductivities, with copper and aluminium being the cost-effective choices. Non-metals are generally non-conductors of electricity, i.e. insulating materials. These include gases in their non-ionized state – air at atmospheric pressure being the most generally applied substance of this type. Pure, deionised water is also an insulating material, but minute quantities of dissolved inorganic salts turn it into a conductor, despite the fact that the salt crystals are insulators when dehydrated. Organic matter, such as wood, is also a good insulator when dry, but becomes conducting when moist. The properties of a number of substances are given in Table 1.1. From this table air at atmospheric pressure is an obvious choice as an insulating material. 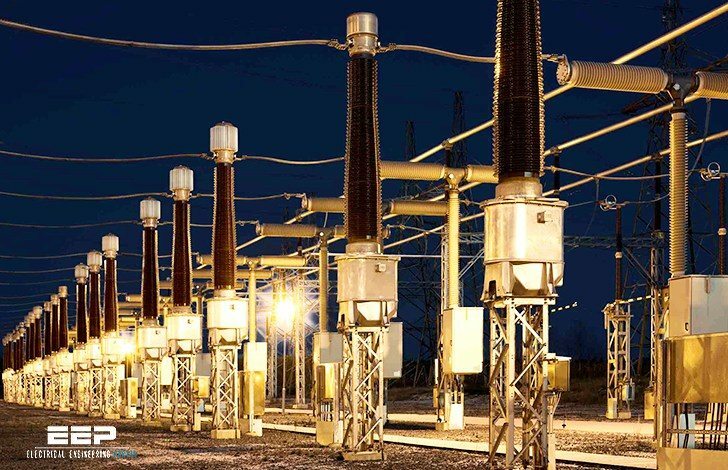 This resulted in the widespread use of high voltage overhead lines and outdoor substations. It is however still necessary to support the high voltage conductors mechanically. For this purpose porcelain and glass have given good service as support or suspension insulators. These insulators then appear parallel to the air insulation that surrounds the bare conductor. The interface between the porcelain or glass and air turns out to be a vulnerable region. In metal clad gas insulated systems (GIS), sulphur hexafluoride gas (SF6) is used as the main insulating medium. In addition, solid materials such as porcelain, glass and polymers are also used to support the high voltage conductors. Transformers and other equipment use mineral oil, either on its own or in combination with linen or paper. In a properly designed system the above mentioned insulation systems should be able to perform reliably under normal voltage conditions as well as under abnormal overvoltage conditions. The main factor that may cause failure of insulation is overstressing, i.e. applying an electric field to the material that exceeds its capabilities and induces failure. Typically, air at atmospheric pressure is a good insulator and a gap consisting of electrodes without sharp protrusions can easily withstand 20 kV/cm. However, at 30 kV/cm the air in the gap becomes ionized and breaks down, leading to a flashover, accompanied by a high short circuit current. Lightning develops similarly when the build-up of electric charge in the cloud causes field conditions, leading eventually to a massive discharge in the form of a high current to ground. This site is quite professional and technical and thorough, however, if this body of knowledge were taken further, you would have to concede to being a conspiracy site. This is very useful for learners develop in their professional carrier. Very informative website. I Teach part time at Umpqua Community College and share your information and articles with all the apprentices. thank u very very much.Just awesome a site for electrical engineers. I Have not seen any useful and informative site like this site even!